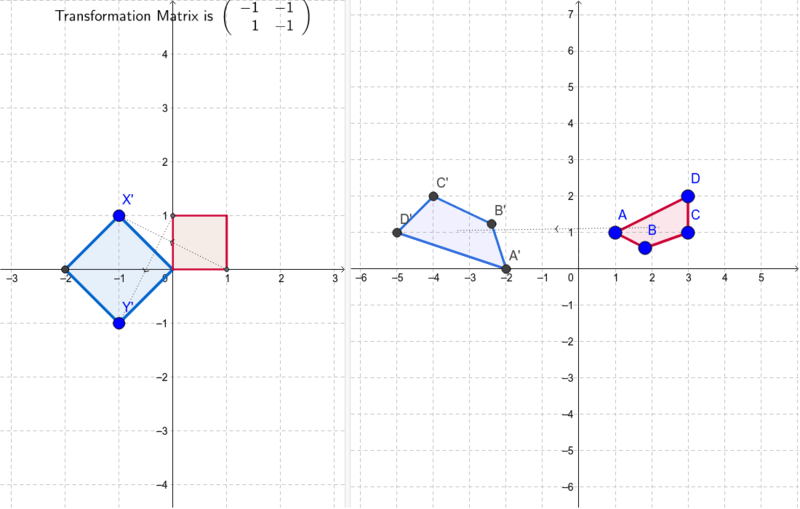 Moving the blue points on the left will change the transformation matrix. The transformation you define is then applied to the quadrilateral on the right hand side. You can move this quadrilateral around to see the effect of the transformation.